AT&T Wireless - Top Service Provider? AT&T has long been a powerhouse in the telephone industry. Still, when the cell phone revolution began, they were left in the dust. Today, AT&T has improved their services drastically to become one of the best cell Service providers available. AT&T has an offering of plans quite similar to Verizon’s. They offer both cheap individual plans and cheap family plans for their subscribers. For a single line, unlimited talk is $69.99. You can add unlimited texting to this plan for an additional $20.00. You can purchase two lines for $119.00. Each additional line after the two plans is $49.99. Unlimited texting can be added for only $30.00 more. The thing that distinguishes AT&T from other carriers is their rollover minutes. If you wish to get a plan with a limited amount of minutes, you can use the minutes that you don’t use the next month, for up to twelve months. You can purchase 450 minutes for $39.99. 900 minutes costs $59.99. If you do go over your allotted time, there is a charge of $0.45 per minute for the 450 minute plan and $0.40 per minute for the 900. Family plans come in increments of 550, 700, 1400, and 2100 minutes. These cost, respectively, $59.99, $69.99, $89.99, and $109.99. You can add cheap unlimited texting to any family plan for only $30.00 per month. 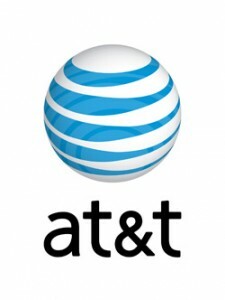 AT&T offers perhaps the widest variety of phones, promo codes of any major cell provider. Many of these phones come at a very low cost or are completely free. As a result of this, AT&T has become a very competitive cell provider. If you want to go beyond the budget selection, there are still plenty of devices to satisfy your needs. Most prominent of these is the Apple iPhone 4. This phone is one of the most high-tech devices out there. Also offered are a vast selection of BlackBerry smart phones. If you are into social networking, the Motorola Backflip is your best choice. There are also many text-centered phones available. AT&T is great for those who wish to travel abroad. Thanks to their GSM mobile standard, they have availability all over the world. This carrier has roaming agreements with well over 200 countries around the world, allowing you to talk and text from pretty much anywhere in the world. If you are looking for apps for your phone, AT&T delivers. With a very large selection to choose from, you can customize your phone in an almost infinite amount of ways. One of the most useful of these is the AT&T Navigator; a GPS unit for your phone. There is also AT&T Music and TV available on select devices for your entertainment. Add this to the countless AT&T ringtones and ring backs available and you have a completely customizable piece of equipment in your pocket. A new line generally comes with a $36.00 fee. Each additional line to your plan is $26.00. If you must terminate your contract prior to the end date, there will be a $175.00 fee. This price can be reduced by $5.00 for every active month you have held the contract. AT&T covers all of the U.S. so if you are in the United States, you will not be charged roaming fees. If you do not want to commit to a contract, AT&T offers a cheap pre-paid plan under the name of Go Phone. AT&T is a great cell provider for someone looking for a carrier. They have one of the best cell phones available with the iPhone and have the widest variety of other phones so you are sure to find the perfect match for your needs. There have been a few reports of unreliable connections, but these are few and far between. For the vast majority of people, this service is top-notch. A cheap cell phone service is found by researching and selecting what is right for you. Take your time and you will find some great cell phone plans.